Life Lesson 1: Be Curious, don't just stick to what's familiar. A few years back I came to Japan for the first time on a youth exchange program. Although we had plenty to do on our schedule I was given, I still found myself with a lot of downtime. To fill the time, I took to the streets of my quiet rural town alone, exploring what there was to see and do. Some days I found myself at the town’s castle. Others, I somehow found a trail going up the side of a mountain. Or even some days, I would just walk through the streets talking to locals, visiting and supporting the local stores by making various purchases. This wasn’t a tourist town. Despite the town being in Kyoto Prefecture, which has seen a massive increase of tourists, the town where I stayed rarely saw any foreigners. There wasn’t much of a tourist industry there at all, yet I enjoyed myself more in the small town, than I had in the far more developed areas. Now, I wasn’t very fluent in my Japanese back then, so I had no clue where exactly I was going, or even if I was going to places I shouldn’t have been. But wherever I went, I made sure that I’d make the most out of it. 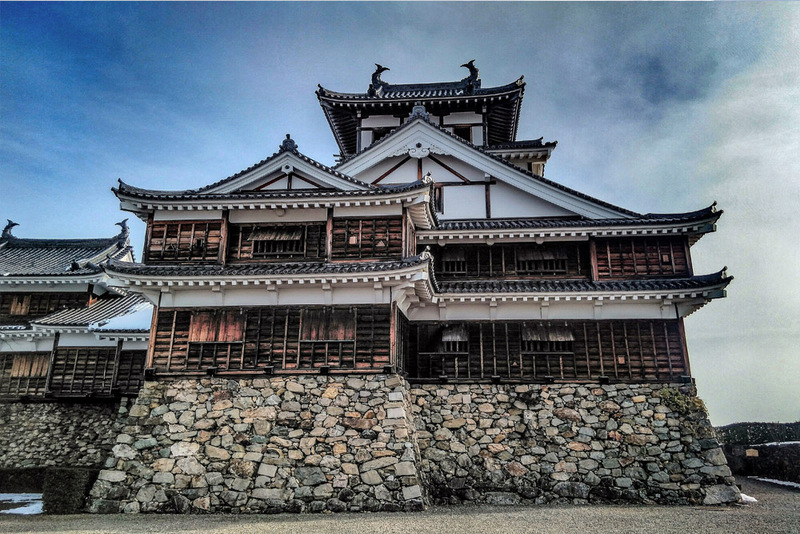 Walking around the countryside of Japan really opened me up and helped me to be more curious. Even though my town I lived in for a while was barely on the map, and there wasn’t much information about things to do in the town, I found myself exploring the local culture, and got to see first-hand what life was like for this town. I learned that even though you aren’t in a big city, nor is there much to do according to travel websites, that you can still have an amazing time if you just get out there and explore. Life Lesson 2. Appreciate the little things, and take time for yourself everyone once in a while. Possibly the most wholesome experience I had in Japan, was on the Island of Miyajima. 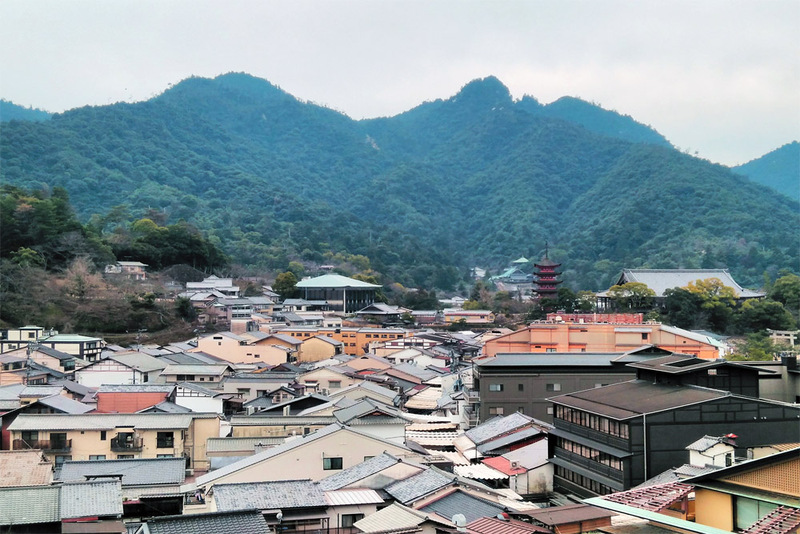 I was traveling with the managers of Off The Track Japan early last year, and we decided to take a trip to Miyajima, but we were to do something that was pretty nontraditional. We decided that we weren’t going to go anywhere ‘touristy’. Yes, that includes the famous Itsukushima Shrine. Any time we turned a corner, and there was more than four people walking down the street, we turned another corner and completely avoided the crowds. We told ourselves that we weren’t going to use any maps, and we would just walk wherever the crowds weren’t. I remember the whole Miyajima trip so clearly, despite not seeing the main attractions of the Island. We climbed hills and found little shrines on top where the local kids came to pray. The little hill had an incredible view of the island. Although the view wasn’t anything all special, it was the moment we were caught in. We couldn’t see anyone on the streets. 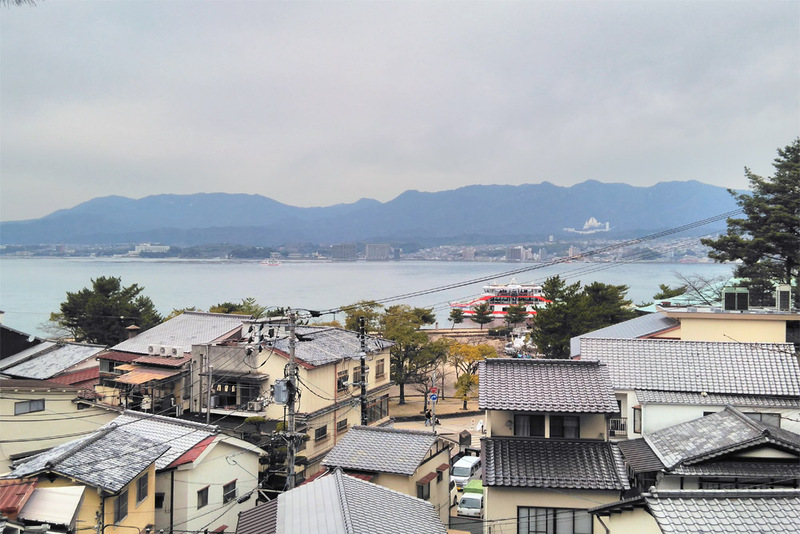 Instead, we simply saw life on Miyajima beyond the main tourist area along the coast. Many people just get caught in up in life, that they forget to take time for themselves, to sit back and just to do nothing. On that hilltop on the island of Miyajima, we did just that. If you look below, you will find 2 images from my first trip to Miyajima. You can see, it’s clearly not an amazing day, in fact it’s pretty cloudy and can really be described as ‘meh’. Yet, these 2 images still resonate with me, all because I wandered away from the tourist areas and found peace is just exploring with no agenda, no rush. Maybe some of you will go to the same hill that I went to, and not feel anything special, and maybe some of you will go and appreciate the moment like we did. Probably the most exciting part about free roaming the backstreets of any small country town, is meeting the people who call that area their home. Although you might not speak their language very well, and they might not speak your language very well or at all, but it’s important to try making some conversation with people. Even a simple greeting can go a long way. I’ve had elderly people come up to me while I was out for a stroll and ask me to sit down with them and tell them about my life. Why? I’ve had various reasons. Some people just want to talk, others want to practice their English as their daughter had married an Englishman, and he wanted to improve his English, so he can talk with her daughters’ husband. One elderly woman, she was in her 80s and owned a small store and sold her own handcrafted chopsticks left the greatest memory in my mind. Often, when I tell people that I’m from New Zealand, they all say ‘OH! I love the Lord of The Rings’. But her response was significantly different from everyone else, which is why I remember it the most, and to be honest, it’s rather sad. “Oh, that’s so nice. I’ve always wanted to go, it looks so beautiful. Back in my youth, I was a big mountain climber, and I dreamt of doing the Tongariro Crossing. I kept putting it off going, but now I’m in my 80’s. I can’t sit on a plane for 10 hours, let along climb a mountain anymore. Mountain climbing was my passion, but I’ve gotten too old and my body hurts to much. It’s sad, but that’s life”. I knew that walk very well, so I replied to her “My parents only live 20 minutes from the walk. When I go visit them next, I will do the walk for you, and I will take your chopsticks with me. When I get to the top, I’ll take a picture with these chopsticks and send it to you. So that even though you can’t physically climb a mountain anymore, your craft and spirit will complete one of your life goals.” I could see her eyes tearing up, she was overjoyed that I would do that for her, and promptly gave me the chopsticks free of charge. Before I was able to go home to visit my family, she had passed away. Later that month, I travelled home and did the Tongariro crossing with her chopsticks attached to my bag as a constant reminder to myself that life is too short to put your dreams aside. Stop waiting to do what you want, live in the moment and accomplish your goals before it’s too late. 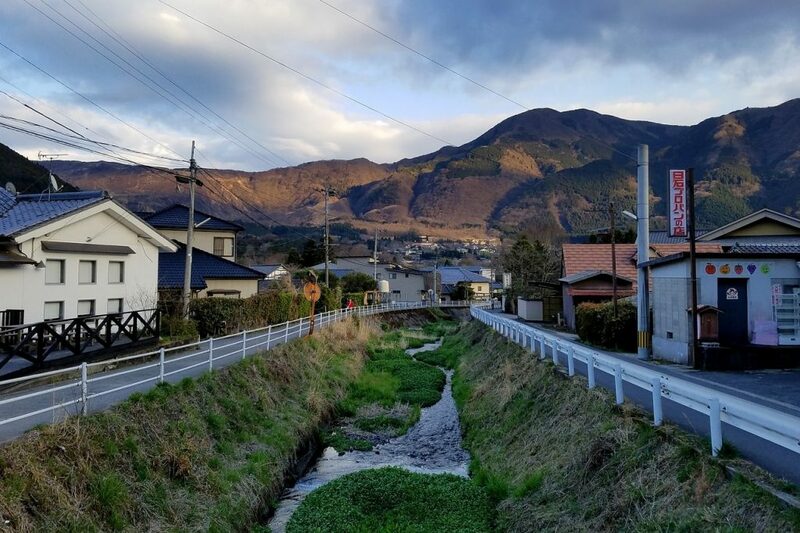 My time living in the Japanese countryside has taught me a lot about life. As someone who has lived in decent sized cities all my life, I had never really been in that type of environment before, and It really changed my life. As mentioned in my Miyajima story, I learned that it’s important to just relax sometimes, to live in the moment. To sit back and watch all the people go past at a distance, knowing that you are happy just where you are, and to appreciate the small things in life. The owner of the chopstick store taught me to never wait for my dreams to come true. If I want to do something bold like travel to another country, climb a mountain, start a company, whatever you want, you need to do whatever you can to make it happen. It’s largely one of the reasons why Off The Track Japan exists today. One day, I was imaging what my life would be if I had my own company, and what it would like to be a self-made man. I remembered the elderly shop keep, and decided that now was the day I would begin making my dreams come true. Although Off The Track Japan isn’t a large company by any standard, nor have I become incredibly wealthy off of it, but the progress our team has made on the project makes me more than happy, and I’m incredibly proud and overjoyed of what it has all become. Work on your dreams while you can, cause one day, you won’t be able live your dream if you keep putting them off..